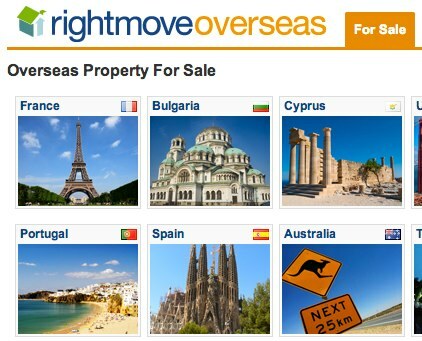 The leading property website for the UK Rightmove produces a very detailed report on the source of visitor traffic to their extensive selection of overseas properties. Over 3.6 million visitor sessions per month check out the more than 80,000 properties on their specialist selection of properties from around the world. The latest report for September highlights a seasonal trend that sees interest in warmer countries as the northern hemisphere winter approaches. One of the countries to benefit from this increase is NZ. Of all the countries profiled in the search content of listings NZ ranked at #11 rising one place with Australia in 6th place behind the leading countries visited by property seekers - Spain, France, USA. Italy and Portugal. As ever seeing such a rich set of the data in the report got me wondering that given the sheer scale of the competing countries ranking higher up the league table, if the data was to be weighted on population for example the picture might look somewhat different. Well the fact is when adjusted to reflect the population of each country the ranking looks somewhat different - especially when you see just how fascinated brits are for some of the smaller Mediterranean countries! The weighted data of visitors to NZ property per million population pushes NZ to # 6 in the league of most viewed property locations - certainly reflecting the interest of potential emigrants to NZ.